Looking to escape the cold, celebrate something special, or just want a great family vacation? 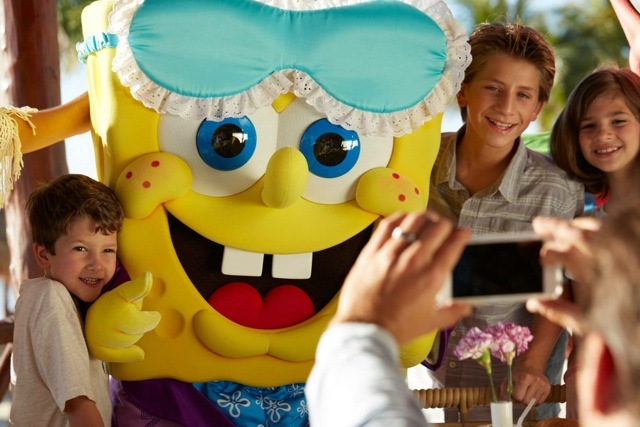 The travel gurus at Two Sisters Travel are sharing the details on the newest family-focused, all-inclusive resort in the Caribbean, Nickelodeon Resort by Karisma. 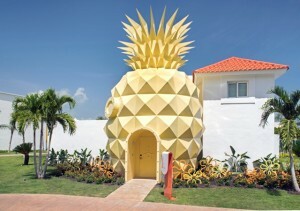 Opening earlier this year the Nickelodeon Resort just outside Punta Cana offers families a five-star luxury, all-inclusive vacation experience that’s filled with playful surprises. And for a very limited time, take advantage of some amazing deals making this vacation an incredible value!! For stays 5 nights or longer enjoy the Kids Stay Free promotion AND a Complimentary Character Breakfast. 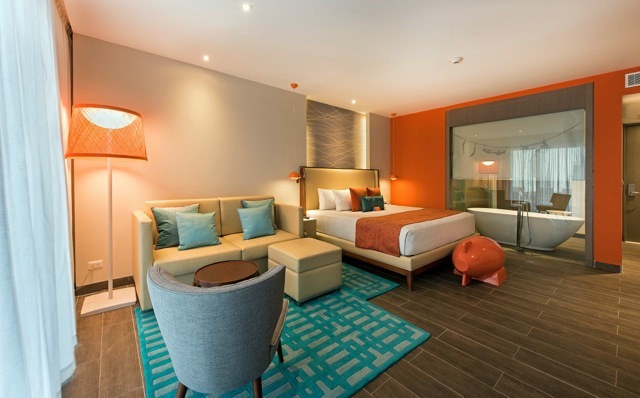 With this package Two Sisters Travel is also offering an exclusive FREE Swim Up Room Upgrade. Yes, that’s right you pay for a standard suite, and we’ll upgrade you to a Swim Up Room!! 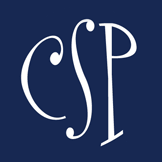 Get a no-obligation quote online now. Who is Two Sisters Travel? We’re a group of gals (yes, there are more than 2 of us) that helps families, couples, & groups plan amazing vacations. We help keep the readers of Charlotte Smarty Pants in the know on travel destinations & deals for places like Walt Disney World, Universal Orlando Resort, cruises, all-inclusive resorts, Hawaii, Europe, & beyond. And as a full service travel agency, we help you plan amazing vacations without the stress. 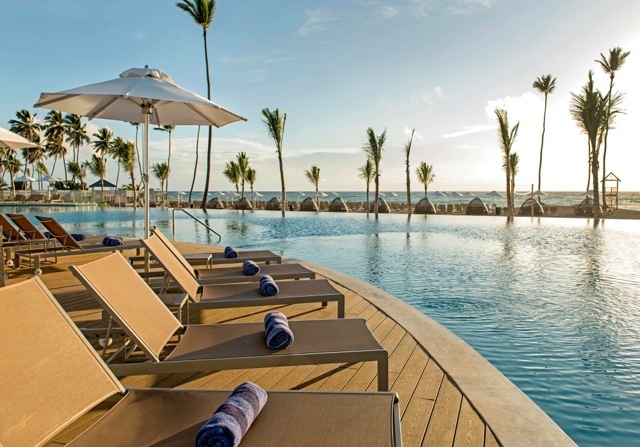 Every trip receives our signature concierge planning services at NO extra charge. 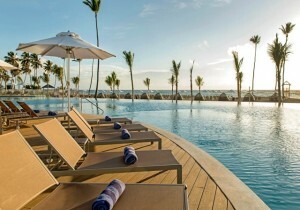 This includes package selection, itinerary planning, arranging spa & dinner reservations, & more. We handle all of the details from start to finish, so all you do is pack your bags! 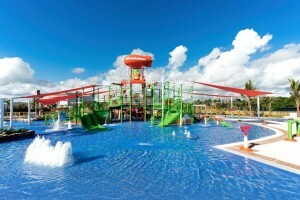 Nickelodeon Resort features a host of included amenities and entertainment for the entire family. Kids of all ages will love the Nickelodeon Place, a Nick inspired area just for them. At the center is Aqua Nick, a waterpark with slides, a splash pad and lazy river. Or the kids can play indoors at Just Kiddin’, a supervised kids club with games & activities for children ages 4 to 12. Meet all of your favorite Nickelodeon characters like SpongeBob, Teenage Mutant Ninja Turtles, & more at Character Central. For the parents, you’ll love the two resort pools (one with infinity edge), 11 gourmet restaurants, and 24-hour room service. Or you may want to indulge in the world-class Spa & Fitness Center for some pampering! And if you’re worried about seeing characters & bright orange around every corner, don’t! The resort has done a spectacular job at blending & containing most of the Nickelodeon features in one area. Accommodations Designed With Families In Mind. All rooms feature crisp, modern décor and were designed with families in mind offering double vanity sinks, bathtubs, & more. Suite & villa rooms feature a separate master bedroom & living area. 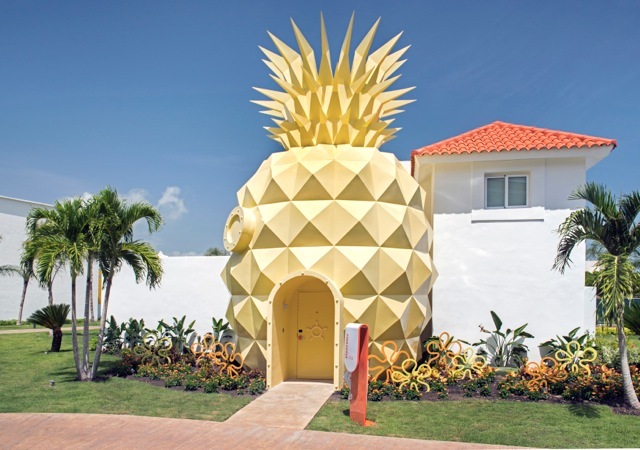 You can even stay in SpongeBob’s Pineapple Villa. This is a one-of-a-kind villa with 2 bedrooms, 3 bathrooms, private infinity edge pool, even your own personal butler service. Definitely the ultimate indulgence! 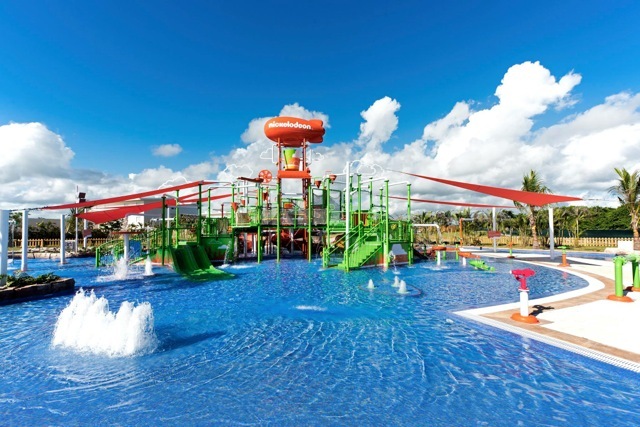 Nickelodeon Resort is located less than an hour from Punta Cana airport and on one of the area’s top rated beaches, Uvero Alto. Less developed than other beaches the golden sands here provide a more secluded beach experience. If you enjoy a beach with some waves you’ll find them here! And not far from the resort you can experience ATV, horseback, and tons of other adventures both thrilling and educational. 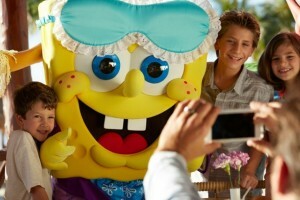 If you’re looking for the perfect spring break or summer vacation consider Nickelodeon Resort! We’ve recently priced round-trip airfare from Charlotte and 5 nights for a family of 4 for as little as $1,250 per person!! Contact Two Sisters Travel today for a customized no-obligation quote online or call 843-284-3241 for details. Let us help start your Caribbean vacation countdown!